DuPont Kevlar XP is a new patented technology which offers both ballistic and trauma protection in a more comfortable body armor solution. 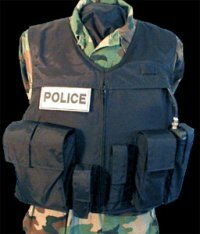 So far tests have shown that Kevlar XP is able to stop bullets consistently within the first three layers of a vest designed with a total of 11 layers, while the rest of the layers found on the Kevlar XP absorb the energy of the bullet. Of course, this doesn’t mean you should walk right up in front of a firefight since the force of the bullet will still bruise your body. Guess the military will find this new development more interesting than us civilians, since we don’t deal so much with bullets and are restricted by some pretty tough gun laws out there.